In Portland, Gutter Cleaning is Essential! If you own a home you know there are a number of chores you have to do at different times of the year. One of those unpleasant projects is cleaning your gutters. But the alternative is to have clogged gutters. 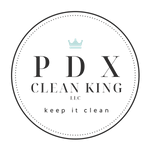 Here in Portland it rains a lot and that requires that your gutters be kept clean. Clogged gutters get heavy and prevent proper drainage. Overflowing gutters are annoying and can literally keep you up at night. They can cause damage to your soffitts. It can also damage garden beds below. Worse still, foundation damage can result. Basements can experience water leaks or floods. In other words, get your gutters cleaned every year. It is often best to have them cleaned in the spring and in the fall. You can do it yourself or hire professionals to do it. Either way, it is less costly to perform regular maintenance than it is to do repairs caused from clogged gutters. Please read our blog for safety tips around the home. Accident related injuries and deaths around the home are real and by following a few precautions you can avoid any getting hurt.